Ofsted arrives – and where was I? In London! One of my senior team and I were indulging in some quality time together doing a training course about ‘Talent Dynamics’ … but that subject is a story maybe for another time. Even though we had left very early to try to avoid the rush hour, we did get stuck in traffic and had arrived a little late, which I particularly was embarrassed about. I had made the decision to drive down, park just the other side of the M25 and catch the tube to the venue. So, after shuffling past everyone to the back of the room with lots of ‘excuse me’, ‘thank you’ and apologising for being late, my phone began ‘a humming’. I could see it was the nursery but cut it off, saying to myself, ‘don’t worry we are here now and not available,’ but it buzzed again. There was a message that quickly explained why there had been repeated calls. ‘Ofsted here’ I wrote for my colleague to read and took the first possible pause to explain to the room. 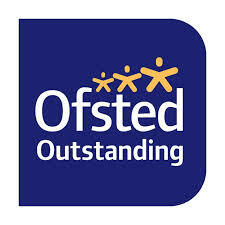 ‘Ofsted has turned up unannounced at one of the nurseries’ (it was a small group) and then squeezed past one side of the room and left clutching phone, via the door on the opposite side of the room. Things got worse. It had been triggered by a ‘safeguarding complaint’ and a full inspection had to take place. So, there were two issues; the alleged safeguarding issue and a full inspection. AND I was stranded in London and WE, were half of the normal senior management team. Our administrator conveyed the allegations, which were thankfully absurd. This reassured me instantly that it just wasn’t possible for any major problems. For example: children being left with a visitor, children had been extremely ill-treated and seemingly were put in the garden without a coat on a cold day. The basis of the investigation therefore quickly became totally void. Back at base they could prove that we didn’t have a visitor on that day. Also, children had music and movement on the said afternoon, as it had been tipping down with rain and they hadn’t gone outside. The inspector immediately recognised the discrepancies and took advice, but as we were due for an inspection and a safeguarding complaint would trigger a full inspection – she was advised to continue with the process. As it happened we, my colleague and I, together in London both were responsible for over viewing children’s progress and evaluating the curriculum through our EYFS software (sparkPRO and spark@HOME). Nobody else, including the administrator used this part of the software. The administrator informed me that the other two members of our senior management team were ‘at work’; not that they were frequently ‘off sick’ but we had left home at 6am and oblivious to any early morning ‘off sick’ calls! Both had organised themselves to look after the inspector so the administrator was ‘free’ to collect her pre-determined list (as per our policy) of documentation and information in relation to numbers, the inspector was likely to require. I was also relieved to hear that in that nursery, there was a full complement of staff so they would all know ‘their children’ very well and teamwork would be ‘normal’. I was confident that the teams would show the inspector how they use the software on an ongoing basis in the nursery rooms. They would show the planners, how the software shows the child’s next steps, how and why they choose from these appropriate objectives and use the software to plan from the continuous provision to facilitate activities, encompassing the children’s interests, learning styles and schemas… etc etc. Basically I knew that they consider the software as their bible and use it on an ongoing basis so ‘showcasing’ this would be a natural part of the normal routine. Parents all use spark@HOME and they are supported to use the software on a regular basis by the key person concerned (as we can monitor usage), there would be lots of family contributions for the inspector to note. I was able to thank the administrator profusely and take a breather. I went to the loo! On returning to the training room, everyone was making their way to the same place I had come from or the coffee machine – half the morning was over. I reassured my colleague and shrugged my shoulders; ‘there’s not much we can do’. She told me that the course was good! I was quite envious – this was something I had arranged and had been desperately keen to find out more about! Those feelings put aside, I had a quick coffee and called to check that the poor administrator had managed to navigate the software. Corny although it may sound, and is, she said ‘don’t worry, it’s easy!’ At that moment we immediately realised what she had said and there was time and possibly relief on both sides, for us both to descend into giggles! In those feelings of being pleased, relieved and grateful it suddenly occurred to me that the inspector would want group information; to check cohorts of children, possibly look at boys and girls and other minority groups. I also thought we could take advantage and show the evaluations staff made about their own practice in relation to each of their key children’s Characteristics of Effective Learning. Taking a big breath and treading carefully so as not to tip this poor lady over the edge with her new found responsibility, I gave her another list of reports and graphs that she could show the inspector, but on the software. There was silence. I momentarily panicked but she was writing them down methodically, cool calm and collected. I was obviously in a higher state of anxiety and her business-like serenity calmed me somewhat. ‘There is one thing though’ – here we go, I thought – ‘she has asked about working with external agencies and professionals.’ I smiled to myself, I reminded her that the local Children’s Centre had been in last week and our Area SENco earlier last month and gave her yet another list! I finished our conversation with asking her to text me with any problems or queries. I returned to the training, squeezing in as quietly as possible and benefited from the end of the morning. At lunch time, I called to check what the inspector was asking about and if there was anything they needed to know. I asked if the inspector could call me on my mobile after 2.30 as I would like to talk to her before feedback. I just wanted to check that any loose ends she had, she could ask me. She called but didn’t ask a thing – it was more about ‘courteous remarks’ and ‘the circumstances’ of the visit; those being unfounded. As it happened, my colleague and I parted company in London to travel in separate directions. She by train and I returned to my car. I was off to Exeter to exhibit at the Childcare and Education Show. The weather was absolutely diabolical, gales and heavy rain. The phone call came – it was recommended (and later confirmed) that we had maintained our ‘outstanding’! I am sure you may imagine how I felt – but I had nobody to celebrate with – until the Monday morning! Very proud of team and software!